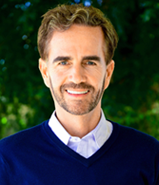 Brian Bauer has been a professional educator since 1991 and has been the Executive Director of Granada Hills Charter since 2000. He served as an inner city tutor while attending Yale University and his first teaching job was as a Spanish teacher in east Los Angeles. After teaching for five years in east and south central Los Angeles, he began his Ph.D. at UCLA and was awarded a Fullbright Scholarship to live in Colombia for three years. Under his leadership, Granada Hills Charter converted to an independent charter school in 2003 and has experienced tremendous growth in enrollment and academic achievement. Recognizing that there is no “one-size-fits-all” approach to education, he encourages a comprehensive learning experience for every individual student at Granada Hills Charter. Jana Davenport has been a professional educator for 28 years. She was a classroom teacher for 18 years before becoming the Magnet Coordinator and then Principal at Balboa Gifted/High Ability Magnet in Northridge, CA. 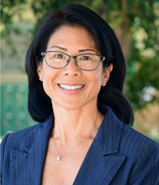 Under her leadership, Balboa Magnet set the bar with both record high attendance levels and achievement scores that consistently exceeded district and statewide averages by far. Her experience in leading a successful school community is grounded in her ability to support outstanding teachers and unite a community around a shared vision for preparing children for the challenges of the 21st century. She has a proven track record of creating an environment of trust and mutual respect between all stakeholders. She and her husband have three daughters who all attended public schools including Granada Hills Charter High School. For a complete list of administration at Granada Hills Charter, please click here.